And then there was Sir Winston Churchill. His lifestyle would have induced apoplexy in any modern doctor but he lived to 90. When asked how he managed to reach such an age, he replied, by going to the funerals of friends who had exercised. Don't sweat the small stuff. Stress will age you physically and wear you down mentally. It's just not worth it. It cracks me up that you forgot # 10. It was probably something about keeping the brain/memory active and challenged! I'd add to the list - reduce stress - if possible! i would also add that my experience with sat prep courses are of minimal use. better to study a bit everyday with an sat prep book and use the sat question of the day. I like the list of questions for the doctor. I hadn't thought of that. SAT prep courses, regardless of where taken, can truly help prepare a student for the test. Mine took the PSAT prep and felt more confident going into the test. I suppose it simply gave them a taste of what was to come. Just my two bits! Thanks for the tips! I didn't know that about zinc lotion (not that my toenails are ugly or anything...really...). My health suggestion would be to drink lots of water. And I read somewhere that we should drink a big glass of water every morning after getting up; that it keeps your skin healthy and other good things. Of course I don't always do that, but it does make sense, since you might be dehydrated after many hours of sleep. I wonder why the left arm? I'm right handed so my left arm probably gets more suntan lotion than the right. I always forget about my left arm! I was totally expecting something trekkie . . . 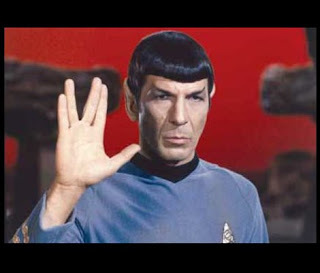 I hope you live long and prosper, and enjoy the summer. Oh and to Sarakastic--my husband regularly visits the dermatologist. It's the left arm because that's the arm constantly exposed to sunlight as we drive in our cars. The left side of the face also tends to get more skin cancers. Sounds like a great list. The toenail one seems pretty high up there. #6. Really? Is it that important? Wow! Glad I came here today! Whoo! Congrats to Child #3 & 4!!! I know how child #4 feels about dentists. It seems like every time I go to the dentist they find something else wrong -- and I do everything they tell me! I'd recommend adding "drink plenty of fluids, and that means clear, unadulterated water, not juice, soda or coffee." Also, "avoid artificial sweeteners and sugar as much as possible." Factoid. Did you know that if you ate nothing but sugar, you'd die? Sugar provides calories, sure, but no nutritional value, and the breakdown of sugar produces toxins. You'd apparently live longer with only water than if you ate sugar and drank water. Writtenwyrdd: I think there was something about 64 oz of water a day. I'd totally forgotten about that. And, wow, interesting about the sugar. Thx.